A lot of people find it ‘too difficult’ to assert their own preferences in the matter of colour. In clothes shopping, the common perception is that there are only a few colours available to us. The fashion retailers did not respond to the concept of colour analysis when it spread throughout the world in the early 1980′s. They have the idea that it will limit people in what they might be persuaded to buy. I can see their point, but I would be interested to see what would happen if one of them went to try on experiment and present clothes already accurately ranged in the four seasons. People often imagine that choosing colour is complicated matter. But in practice, if you get the colour right first, all the rest falls into place. When shopping most people look at the shape and fabric first, rather than the colour, but this is not necessarily a good way to shop anyway, regardless of the colour issue, as often the best cut clothes do not have what is known as ‘hanger appeal’. I found it quite easy to adopt the habit of considering colour first. 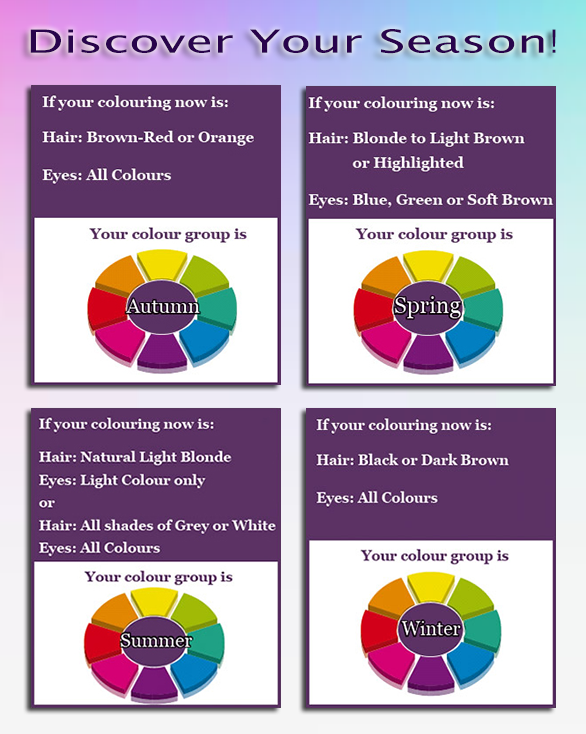 Once you download our ‘Clothing Colour Guide‘ you will discover the joy that you could go through any shop or fashion department in a matter of minutes, if you search only for your suitable colours. You will quickly progress to the stage where it was as if the other colours did not exist. Before I knew my colours, I used to waste hours going through all the rails,considering clothes colours which would never do anything for me. such a waste of both time and money. Now that my prime consideration was to buy a suitable colour clothing for my colouring I have found that my confidence grew. I knew what I was doing. Our awareness shifts and old attitudes fall away. 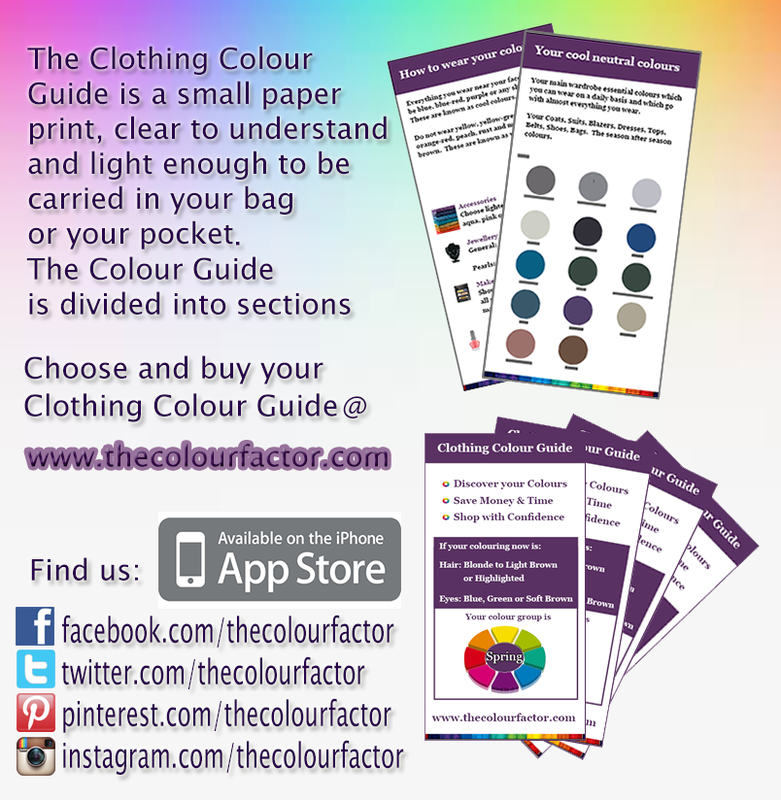 Enjoy shopping with your Clothing Colour Guide and discover your colours, save money and time and shop with confidence.